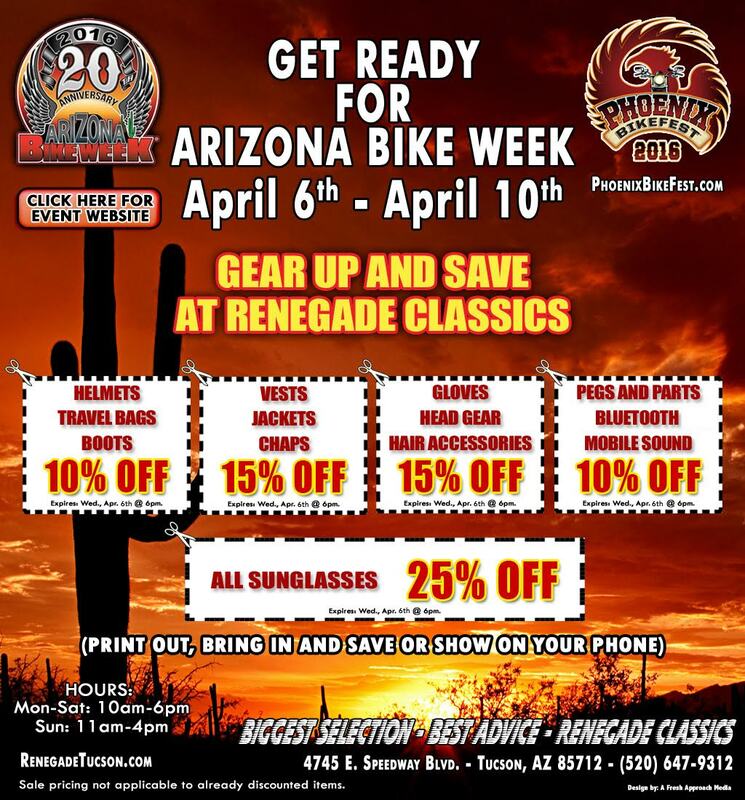 Ready for AZ Bike Week? 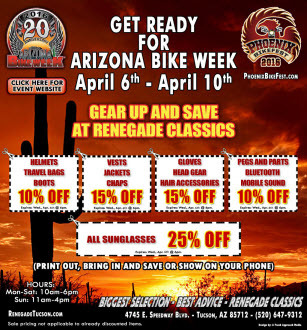 HOME > Events & Cool Stuff / Ready for AZ Bike Week? WINTER SANTA SALE IS HERE! Are you ready to show up and off there? 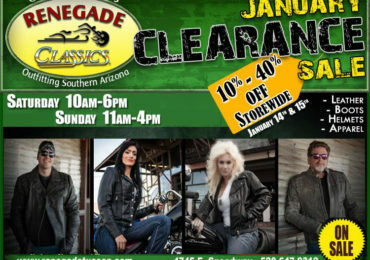 Renegade Tucson has a very special coupon for the occasion. Only works with your phone or if you print it and show it at the store. 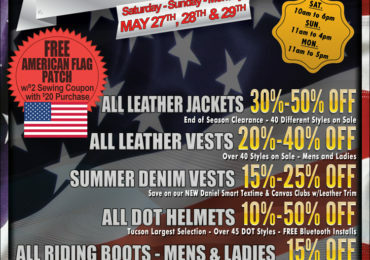 It expires on Wednesday April 6, at 6 PM. Can't use it after, sorry!